Prezentare It's easy to get disheartened when your planet has been blown up, the woman you love has vanished due to a misunderstanding about space/time, the spaceship you are on crashes on a remote and Bob-fearing planet, and all you have to fall back on are a few simple sandwich-making skills. However, instead of being disheartened, Arthur Dent makes the terrible mistake of starting to enjoy life a bit-and immediately all hell breaks loose. 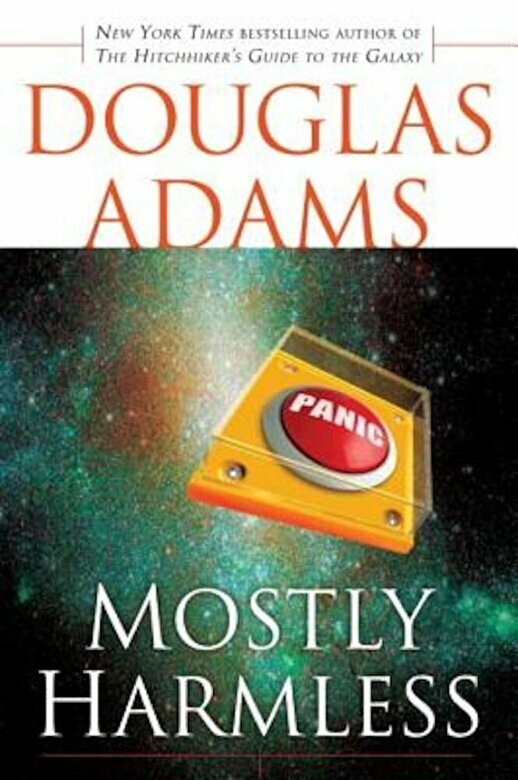 Hell takes a number of forms: there's the standard Ford Prefect version, in the shape of an all-new edition of The Hitchhiker's Guide to the Galaxy, and a totally unexpected manifestation in the form of a teenage girl who startles Arthur Dent by being his daughter when he didn't even know he had one.